Imagine giving birth while chomping on lobster washed down with vintage Dom Perignon and knowing the moment your baby arrives someone else will be on hand to look after him. 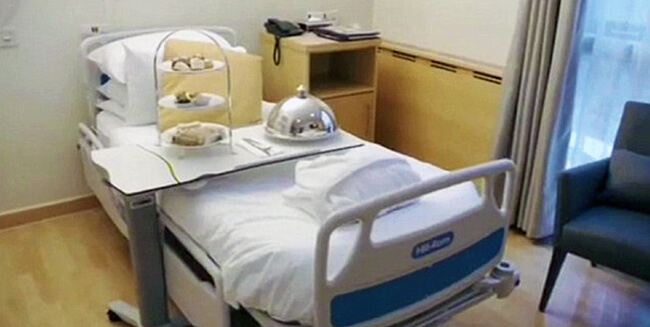 If you have a spare £10,000 then that’s what’s on offer at the Portland Hospital, where parents pay big money to have their every whim catered to. And now the hospital is set to give the public a tantalising glimpse behind its doors. Last year, the Portland granted unprecedented access to the BBC for a new documentary that is to air next week. About 1,600 babies are welcomed at the hospital each year. Jerry Hall, Jamie Oliver’s wife Jools, Kate Winslet, Emma Thompson, Spice Girl Geri Halliwell and Duchess of York Sarah Ferguson have all reportedly given birth at the Portland. It is a far cry from the experience of most women, with chief executive Janene Madden saying she has seen some families spend as much as £500,000 to give birth at the Portland. There is a team of 50 full time midwives at the hospital. One midwife who appears in the documentary describes how many of her patients are shocked by the reality of childbirth, despite being waited on hand and foot. One first time mum who recently gave birth at the hospital is Beijing born fashion designer Lu Hui, 24. Ms Hui spent £40,000 to give birth to her first son Lucas via elective caesarean section. 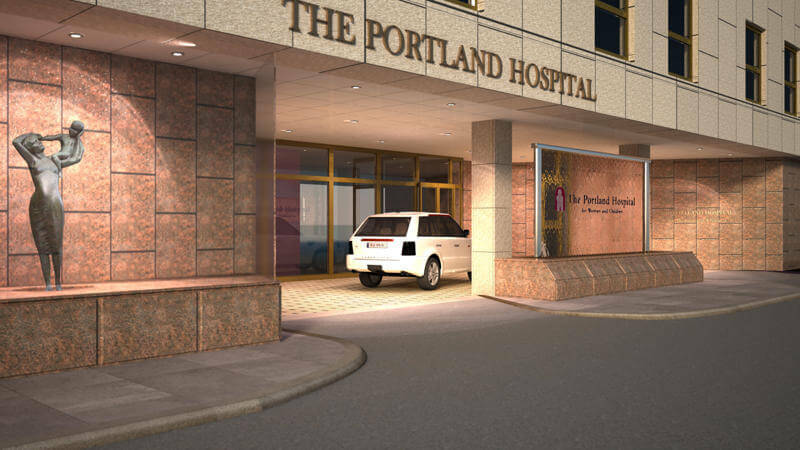 “I was Googling which is the best hospital to have a baby and the Portland is the top one that popped out,” Hui, who is married to a wealthy business tycoon who runs a shipping empire out of Hong Kong, said. When Lucas was born, Hui requested midwives clean the baby up and make sure her son had a nappy on before passing him to her. As well as maternity care the Portland offers a range of high end facilities to guests at it’s 36 rooms. A hotel standard kitchen, based on the one in five-star hotel The Dorchester, provides around the clock fine dining. Five Star Babies: Inside The Portland Hospital is on BBC Two on April 13 at 9pm.